Drinking coconut water has SO many benefits! Coconut water is nature’s antidote for dehydration. We certainly encourage you to keep some within arm’s reach. It contains healthy electrolytes which the body loses with sweat. And according to a clinical study, it hydrates just as well as water and sports drinks. Looking for other hydrating drinks? Celery, cucumber, and tomato juice work well, and, most importantly, don’t forget water! Avoid sugary juices, soft drinks, alcohol, and caffeinated drinks as they are dehydrating. Ensure you drink plenty of water and replenish your electrolytes. You can use coconut water to replenish your electrolytes as it is an excellent source of minerals, no added sugar (as other drinks are), and low in calories. Make sure you drink fluids throughout the day as well, try to have at least 1-1/2 liters per day. Walk around with a water bottle and refill it throughout the day, as you then monitor how much you are really drinking. Ask either Dr. Rodwin or our naturopath how much you should drink throughout the day. The natural electrolytes in Coconut water is a great alternative to sugary energy drinks to help cure hangovers as well! It’s especially important in times such as when we may have a little too much to drink to maintain our health and take care of ourselves. Drinking lots of fluids like water or coconut water to help replenish our electrolytes. Getting plenty of rest, and even having a massage can also help as well! Learn more about hangovers and massage therapy here. 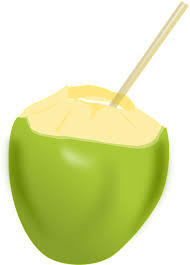 Drinking coconut water can also help to boost your energy! Coconut water is also a clean, healing fluid that can help to remove toxins from your body. Additionally, Coconut Water is fat and cholesterol free, low in calories, alkalising anti-bacterial, full of vitamins and minerals, and can boost metabolism and aid in digestion! Don’t limit yourself to only enjoying this delicious and nutritious drink during tropical vacations!